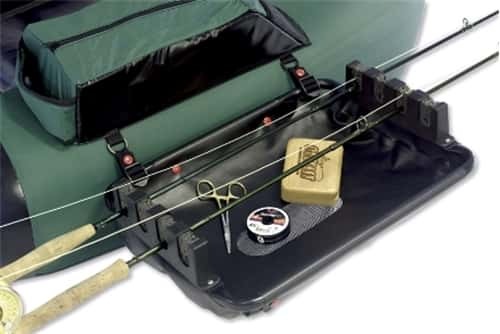 Easily secure and carry up to 4 rods on your next lake fishing trip with the Float Tube Rod Rack. The self draining basket keeps tools, fly boxes or other small items at hand. It can be secured to Outcast, Fish Cat and other brands of float tubes.